The mountaineering season in the Pakistan Karakoram is winding down, and not a moment too soon. I’ve been watching events unfold on its five 8000m peaks this year with a mix of sadness and horror. It’s a season that has seen 21 deaths – 10 due to climber error, and 11 murders. It has caused the UK Foreign and Commonwealth Office (FCO) to revise its travel safety advice for the country, and has many of us with fond memories of travelling there wondering whether we will return. I spent two months on a glacier in the Pakistan Karakoram in 2009 trying to climb the two 8000m peaks Gasherbrum I (G1) and Gasherbrum II (G2). I have mixed feelings about the expedition. We had very bad weather and experienced long days of boredom, but the extraordinary scenery produced many great moments, and I had no doubt I would return some day. It took us eight days to hike to base camp, and there are few places I have experienced such a sense of remoteness and isolation. It seems kind of comical that the FCO now advises against all but essential travel there. Twice I drove up the Karakoram Highway (KKH) which links Islamabad in Pakistan with Kashgar in western China, once when climbing Muztag Ata in the Chinese Pamirs in 2007, and again on my way to the Gasherbrums. On the first occasion I stayed for a night in a place called Chilas a short drive from another 8000m peak, Nanga Parbat. More understandably in the light of events this year, the FCO advises against all travel on the KKH through Chilas. There are deaths on most of the five Pakistan 8000m peaks every year, and they are among the most difficult to climb. 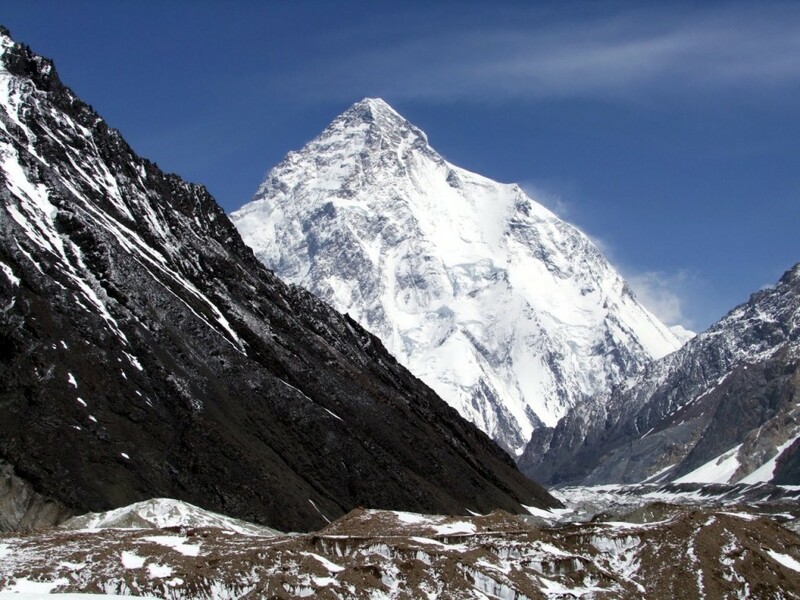 K2 and Nanga Parbat have a long history of mountaineering tragedy. In 2008 eleven people were killed on K2 when a serac collapsed above a feature known as the Bottleneck Couloir, severing the fixed rope climbers were using to ascend. In 1986 thirteen climbers died there in eight separate incidents through the course of the season, including avalanches, falls and altitude sickness. On Nanga Parbat nine German climbers and their Sherpas died in 1934 during a horrific eight day retreat in a storm. Three years later on the same mountain sixteen members of another German team were wiped out when their camp was destroyed by a huge avalanche as they slept. Gasherbrum I has seen fewer tragedies and fewer ascents, but is known to be a particularly steep and difficult climb, and I certainly felt out of my depth when I tried to climb it four years ago. 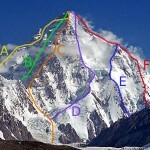 Broad Peak has a reputation for being slightly easier, but many people who have climbed it disagree with this assessment, and have reported a great deal of rockfall on the main route. Gasherbrum II is more benign, and is the only one of the five not to have experienced fatalities this season, but its gentler slopes become an avalanche risk after a lot of snowfall, and somebody died on the mountain when I was there in 2009. The 21 deaths this year have come from a combination of climber error and something more iniquitous. Here is a brief summary. 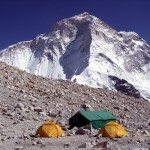 K2 is generally regarded as the hardest 8000m peak to climb. Two people died there this season. Father and son Marty and Denali Schmidt from New Zealand died in an avalanche at Camp 3. A storm had caused all other climbers to abandon the high camps and descend to base camp, including their climbing partner Chris Warner, who wrote a poignant dispatch afterwards. Marty was a very experienced and popular climber, and why he chose to continue his climb on a mountain renowned for its avalanche risk is hard to understand. His son Denali was presumably named after the mountain in Alaska, and the incident reminded me of the sad story of the American climber Willi Unsoeld, the first man to climb Everest’s West Ridge with Tom Hornbein in 1963. Unsoeld named his daughter Nanda Devi after a holy mountain in India. She was only 22 years old when they tried to climb it together and she died of altitude sickness. 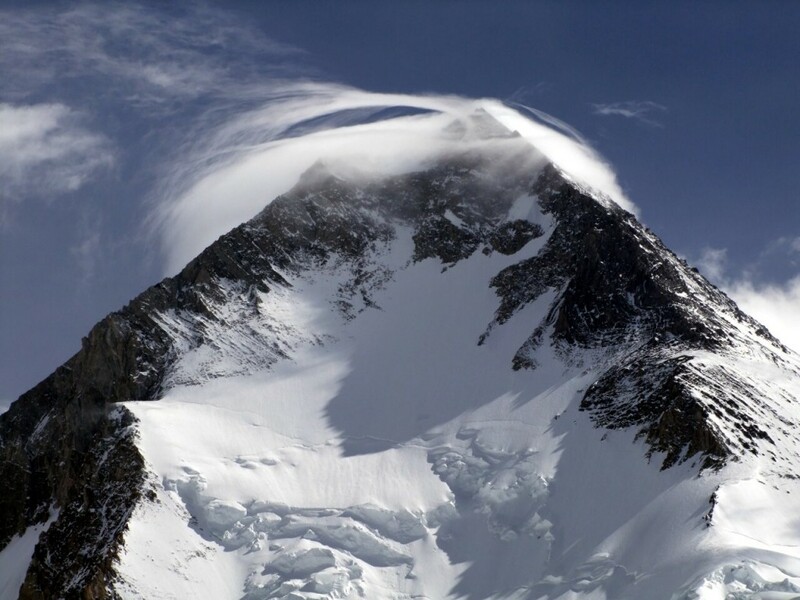 Three Iranian climbers Aidin Bozorgi, Pouya Keivan and Mojtaba Jarahi went missing on Broad Peak after climbing a new route on the Southwest Face. 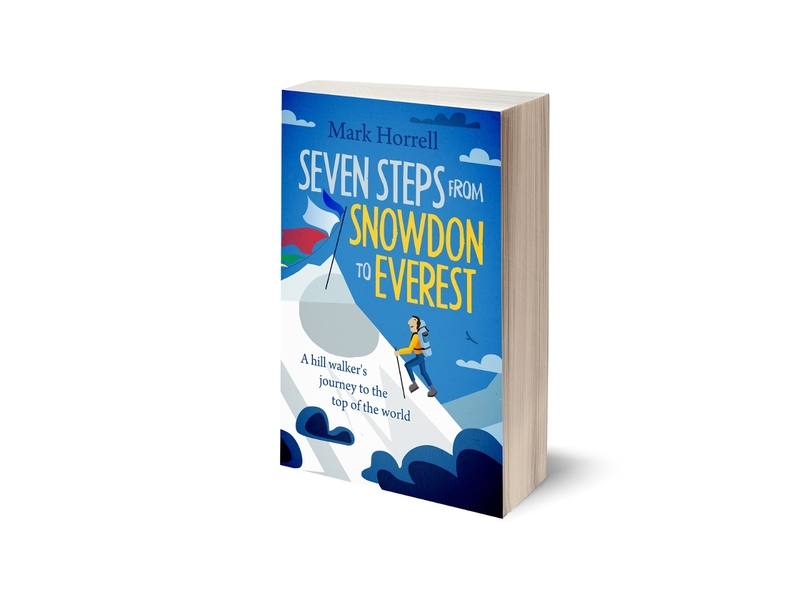 They were descending by the standard route in poor weather, and took a wrong turn along a subsidiary spur which led them to difficult rocky ground. They made several radio calls to try and lead rescuers to them, but were never found and the search was eventually called off. George W Bush may once have described Iran as part of the Axis of Evil, but it’s a shame he was never given a lesson in diplomatic relations by the American climber John Quillen, who was a team mate of the three Iranians. In a moving interview he gives an affectionate tribute to the three men who had become his friends. In the light of what happened on Nanga Parbat this year (see below) he provides some hope by demonstrating how mountaineering can transcend politics. 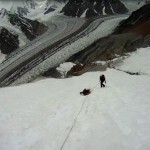 Five climbers died in three separate incidents on Gasherbrum I this year. The elite Polish climber Artur Hajser, a former climbing partner of the legendary Jerzy Kukuczka, died after falling down the Japanese Couloir, a feature I looked up in 2009 and decided I didn’t like the look of. Three Spanish climbers, Abel Alonso, Xevi Gomez and Alvaro Paredes, went missing in a storm while descending from the summit, and earlier this week a Czech climber Zdenek Hruby died in another fall after making an ascent of a new route on the Southwest Face. 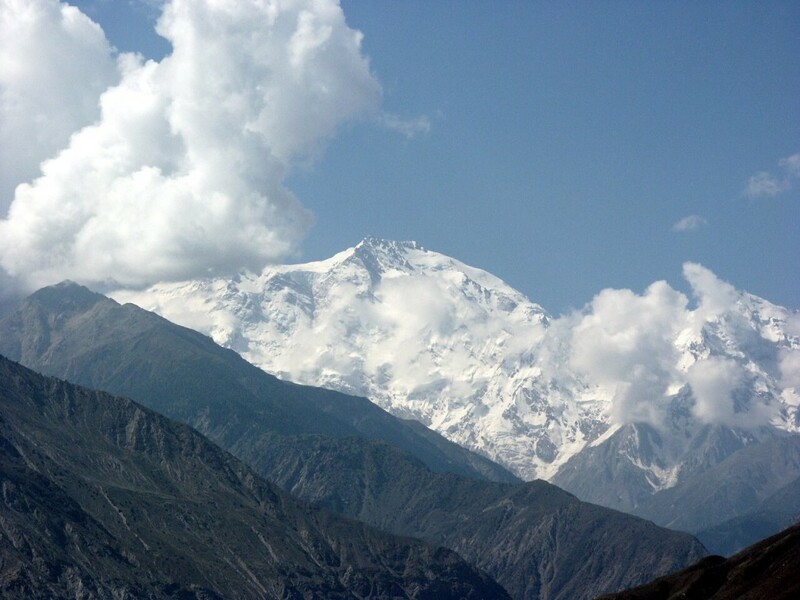 Events on Nanga Parbat overshadowed everything else that happened in the Karakoram this year, and are likely to have a detrimental affect on the tourism industry in Pakistan for some time. On 22 June, around 20 local villagers walked into base camp on the Diamir side of Nanga Parbat, and shot dead 11 mountaineers and their staff, in what was clearly a terrorist attack. The victims were of many different nationalities: three Ukrainians, three Chinese, two Slovakians, a Lithuanian, a Nepali Sherpa, and a Pakistani. A group called Tehrik-e-Taliban Pakistan claimed responsibility for the attack, and last week the chief of police investigating the incident was murdered in Chilas, the town I had stayed in on the Karakoram Highway in 2007. The precise motive for the murders is unclear, but the American climber Steve Swenson has written a summary of the complicated politics in that part of Pakistan, and how it affects the tourism industry. I travelled extensively in Nepal during the Maoist insurgency. Many Nepalis died in that conflict, but tourism remained largely unaffected, apart from the occasional strike. The Maoists were aware that many of their supporters worked in the tourism industry, and it was not in their interest to endanger trekkers and mountaineers. The incident on Nanga Parbat was a deliberate attack on mountaineers, and a different situation altogether. While it’s still possible to avoid the most dangerous area by flying from Islamabad to Skardu, where it’s currently much safer, many people will be concerned that things may escalate. The people harmed most by this terrorist attack are the Pakistani people, many of whom gain seasonal income as porters and expedition staff. I don’t claim to be an expert on the Pakistani psyche from the brief time I spent there, but I couldn’t help thinking they were a people who are not allowed to have fun. I encountered great friendliness and generosity, but also a certain edginess lurking beneath the surface. The cultural divide with the western way of life is a gulf that is not easy to overcome. When I drove up the Karakoram Highway, I remember hardly seeing a single woman between Islamabad and Gilgit. Alcohol is illegal, and while it’s unsurprising there are therefore no pubs and bars, there doesn’t seem to be any sort of cafe culture either, places where you can sit in the sun and have a coffee. I am sad for Pakistan because I feel the land and its people have so much potential that is somehow stifled. I don’t know whether this is a feeling they share. The scenery is harsh but beautiful. It will draw me back again, I am sure, but for the time being I will be crossing Pakistan off my expedition plans. By the way, the spelling is Artur Hajzer, not Hajser. It’s true there have been 24 fatalities on the Pakistan 8000ers this year if you include the winter season as well (a French climber also died on Nanga Parbat). These statistics are not so unusual though. 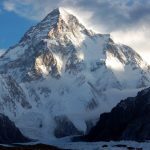 Tragic as they were, those deaths probably won’t change how most climbers think about Pakistan, as the chances of dying on an 8000m peak in winter is extremely high at the best of times, and it’s not something I would personally consider doing under any circumstances. Hi Mark – great post and summary of the Pakistan season. Interestingly on Nanga Pargat was a member of my 2011 Everest expedition and he was at camp 2 during the shootings. Right place at the right time. I traveled through the region in 2000 to climb around the Batura glacier, long before 911 and the terrorist threat we see today became apparent. Even at that time there were one or two villages we drove through where we were asked to put our head down inside the bus and become inconspicuous on the drive through. Have great memories of the Hunza people and the scenery as you say is just spectacular, people will always be drawn back there for these reasons no matter what the threat is. Interesting, Axe. Yes, you’re not the only person remarking that the threat has been apparent for a while. My insurance didn’t cover me for the KKH when I drove through there in 2009. You’re right there will still be expeditions there through the troubles. The scenery’s like nowhere else. Hi Mark, love your blog and Kindle books. I am struck by the bravery of mountaineers when faced by so many natural dangers: avalanches, storms etc. My question is, is terrorism a threat of a different kind? Will it scare people off pursuing the sport they love, or is this another hazard they will take in their stride? Do you yourself feel differently about facing it, compared to other dangers? It won’t put people off doing the sport they love, just where they do it. I can’t see there being many people on Nanga Parbat next year, though there may still be smaller numbers on the other four 8000ers in Baltistan. Personally I will probably give Pakistan a few years to settle down before returning. The situation there fluctuates quite a lot and some years are safer than others. The incident on Nanga Parbat is unprecedented though, and people will want a few assurances it’s unlikely to happen again before returning. There are plenty of other safer mountain areas to visit in the meantime. Great summary, as usual, Mark. I’m sure the families of Moujitabbe, Aiden and Pooya appreciate this, as do I. They really were extraordinary young men. (I also enjoyed my time with Marty and Denali Schmidt, they spent quite a bit of time at our base camp before walking into their destiny next door at K2) I will forever be haunted by Marty’s last words to me regarding “the Savage Mountain”. He said, “Broad Peak is tough, but K2 is the ‘Mountaineers Mountain’) May they all rest peacefully on these high peaks. Thanks, John. Commiserations on Broad Peak, but you performed a greater deed by giving that interview. Sorry to necro, but I ended up here from your most recent post. Due to the areas of the internet I tend to frequent, and the pod casts I listen to, I have heard for several years now about the horror stories that come out of Pakistan. Ones off the top of my head include. 2 young teenage girls executed (shot) for dancing in the rain. A young woman stoned on the courthouse steps after she went to court to defend a case where her family claimed she was kidnapped by a man she married freely. The case was brought because she didn’t want to marry the man her family had arranged for her to marry. A 13 year old gang raped. this one is different because her father refused to stone her (honour killing) because she had done nothing wrong. The family has been driven from their village, and her elder brother was murdered while trying to bring her rapists to justice. There are more I remember to do with blasphemy, and disrespecting the Qu’ran (whether intentionally, or framed). One of the commentators I listen to will often say about Pakistan, and other countries like it, “No joy for you”. I think the problem stems from there being a decently sized minority of fundamental Muslim extremists. If you do not go along with their ideas of how Islam should be practised, you are an infidel, and should be killed. This leads to a culture of fear similar to 1930s Germany (I think I just Godwined myself), 1950s USA (McCarthy), and medieval witch hunts. Sadly I have no idea how to fix this type of societal problem.